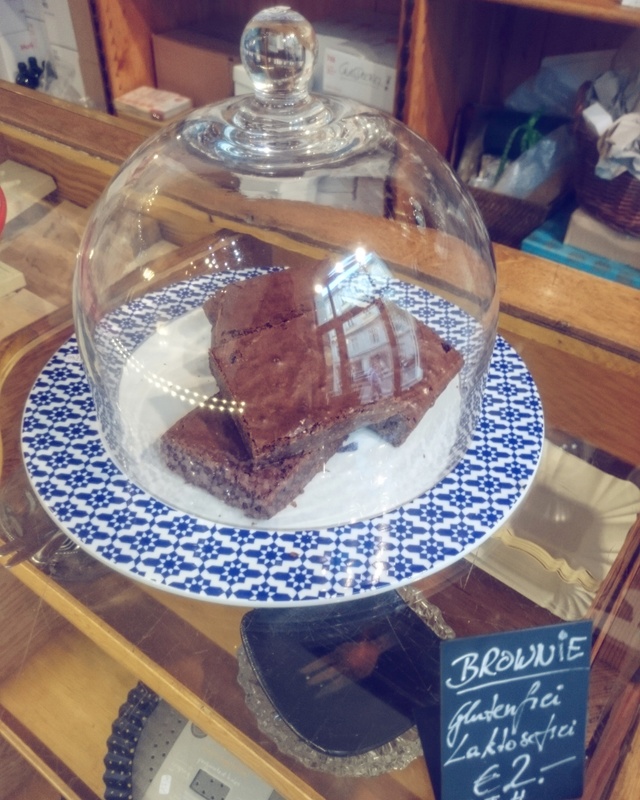 Cake, cake and more cake – hello gluten free Vienna! After two days we had sampled enough gluten free cake to last me a lifetime. 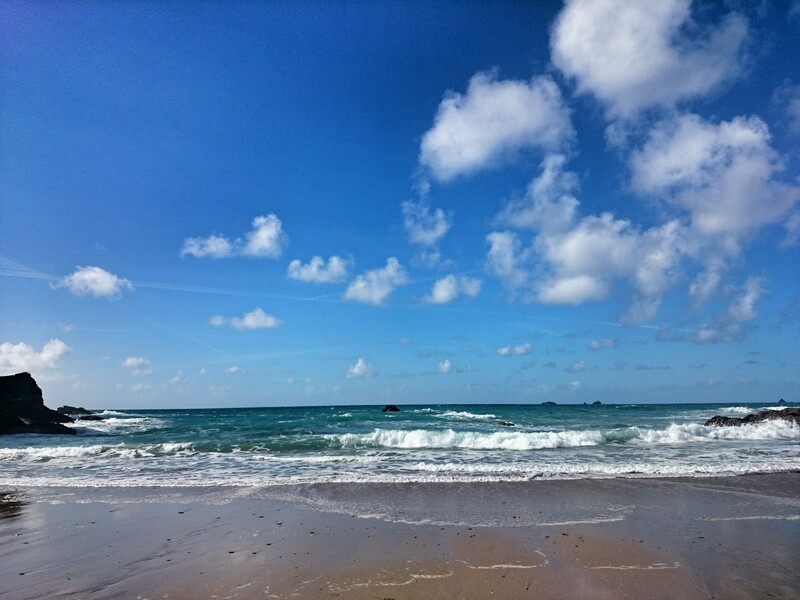 Although I am certainly not complaining. 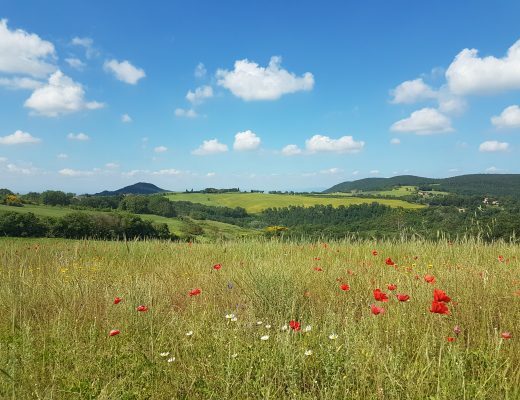 Coeliac visitors to the beautiful city of Vienna will have no problem finding safe places to eat and lots of gluten free treat options in cafes as you explore the sights. Allergens regulations in Austria mean many menus are marked up to show potential allergens, which makes choosing safe gluten free options much easier for coeliac or gluten intolerant visitors. 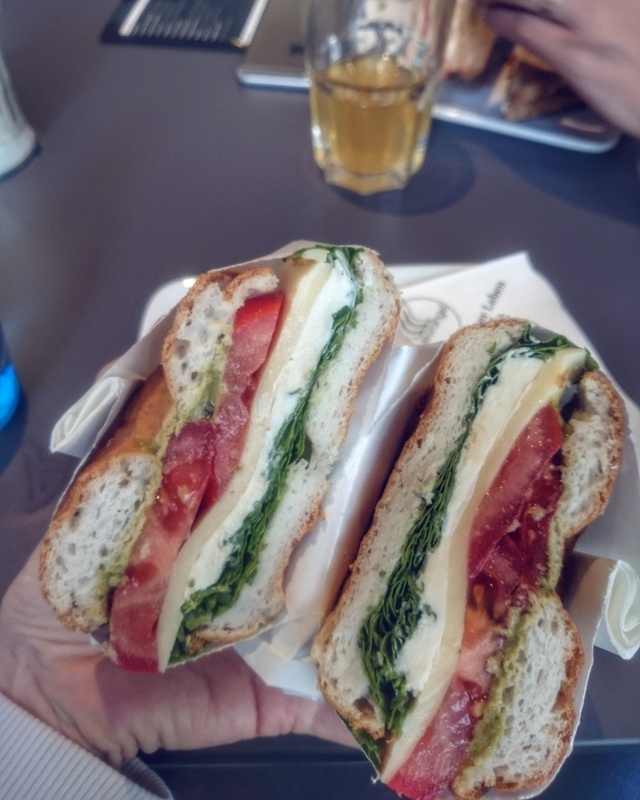 From excellent, coeliac-safe pizza at Vapiano, to bagels at Blue Orange and an extensive cake selection at Kurkonditorei Oberlaa, below I have listed some of the best eats we sampled in gluten free Vienna. 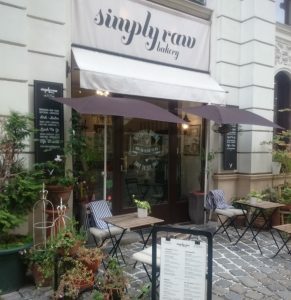 This is a brilliant 100% gluten free and dairy free restaurant in Vienna, a must visit on your gluten free Vienna tour. We had a fantastic meal here, with gluten free bread and no worries about cross-contamination. 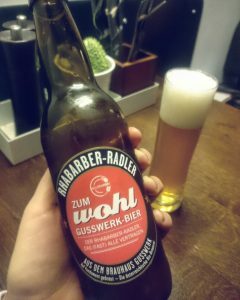 What’s more, they brew their own gluten free beer and their rhubarb radler beer was my favourite. They are only open for lunch at the moment, but check their website before you visit in case they are open for evening meals again. We had such good gluten free pizza at Vapiano in Vienna. This chain of restaurants offers gluten free pizza and pasta and they have special procedures in place to avoid cross-contamination. For pizzas, this means they are cooked in a separate aluminum foil trays and made by a dedicated chef in a separate preparation area. 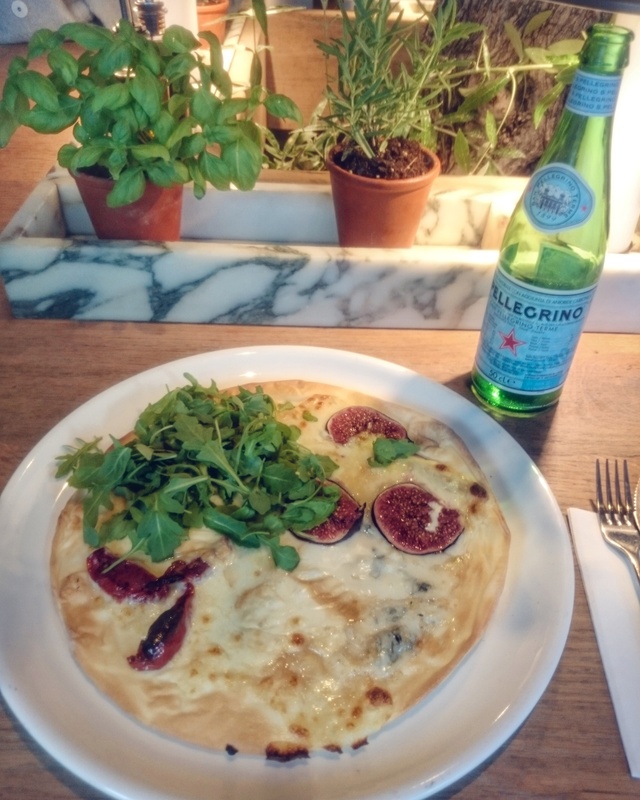 The pizza itself was delicious – I had a very cheese-centric one (three types of cheese, sun-dried tomatoes, figs and rocket) called the “delle alpe” and loved it. We ate at the Wien Mitte branch. We tried to go but it was full, so if you are in the mood for pizza make sure you book ahead. Apparently they do excellent gluten free pizza that is very coeliac friendly. They also serve gluten free pasta, gluten free dessert (including gluten free tiramisu) and gluten free beer. Spotted near Zum Wohl, another fully gluten free and lactose free restaurant – a good choice if you are worried about cross-contamination. For traditional gluten free Austrian fare, visit Gasthaus Nestroy. You can try gluten free schnitzel and wash it down with a glass of gluten free beer! Best to book in advance. I scoffed the best gluten free bagel at Blue Orange in Vienna for lunch one day. This little cafe is quite central too so is an ideal gluten free Vienna lunch stopping point. Why do I rate them? Well, they take great care to avoid cross-contamination while preparing the gluten free options and after the waitress talked me through their processes they seemed pretty coeliac safe to me. I chose the Italian – mozzarella, a mystery cheese, rocket, tomato and pesto. A city-wide chain of cafes, with a few gluten free snack and cake choices available. A very cutesy little raw vegan cafe – they offer a number of gluten free and dairy free brunch, lunch and cake options. Perfect if you have additional allergies – gluten free, lactose free, nut free, egg free, etc, there’s something for everyone. Cakes and other sweet treats, plus they serve breakfast and lunch. We didn’t get a chance to visit this place ourselves, but it is a fully gluten free and lactose free bakery. Plus they sell that great Zum Wohl gluten free beer to take away. 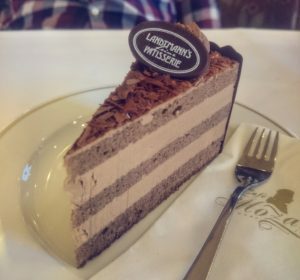 Gluten Free Vienna – cake time! 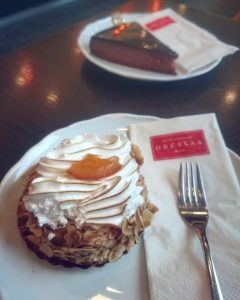 We sampled some of the delicious gluten free cakes and tortes available at Kurkonditorei Oberlaa in Vienna, they have several varieties. Such as the Hollander cake – a crisp meringue base, which a chocolate mousse centre rolled in flaked almonds, then topped with soft meringue and there’s a delicate orange flavor to it all. They do a rich gluten free chocolate torte and many other choices for coeliacs too. The menu is clearly marked and all cakes come on their own little bases or with plastic on the sides, which lowers the cross-contamination risk. Note they do sell normal cakes here too. This historic cafe has a literary past, as a popular meeting spot for writers in the 19th century. 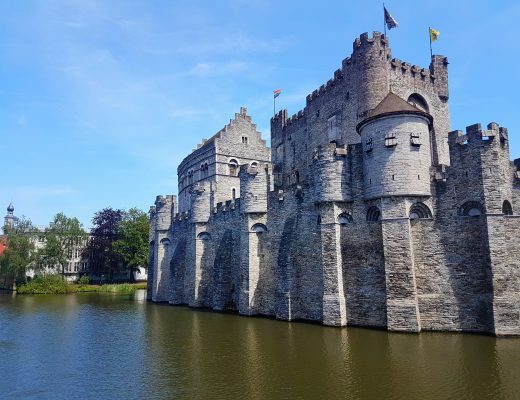 These days, this institutions offers a couple of delicious gluten free cake options, including a chocolate mousse cake with an almond flour sponge. Another tourist cafe hub that offers a couple of gluten free cake varieties. After thinking we’d found zero gluten free options at Schonbrun palace, we trekked up the hill to get the full view of the city from the archway. 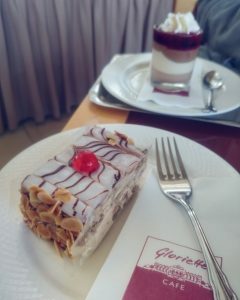 Lo and behold, we discovered a café called Gloriette inside the arch itself, which serves some gluten cake options. There also had some non-carby gluten free options such as ham and eggs on the menu. They use the allergen marking system on menus here. A little cookwear store with an enormous range of cookie cutters, glasswear and other lovely bits for your kitchen. When we visited they were also selling gluten free and lactose free brownies. Vienna airport had a lot of gluten free choice in the departures hall BEFORE you go through security. The large Spa has a gluten free section plus gluten free cakes on the bakery counter. It’s in the main hall, on your right when you come out of the train station and before you go through to the departures lounge. 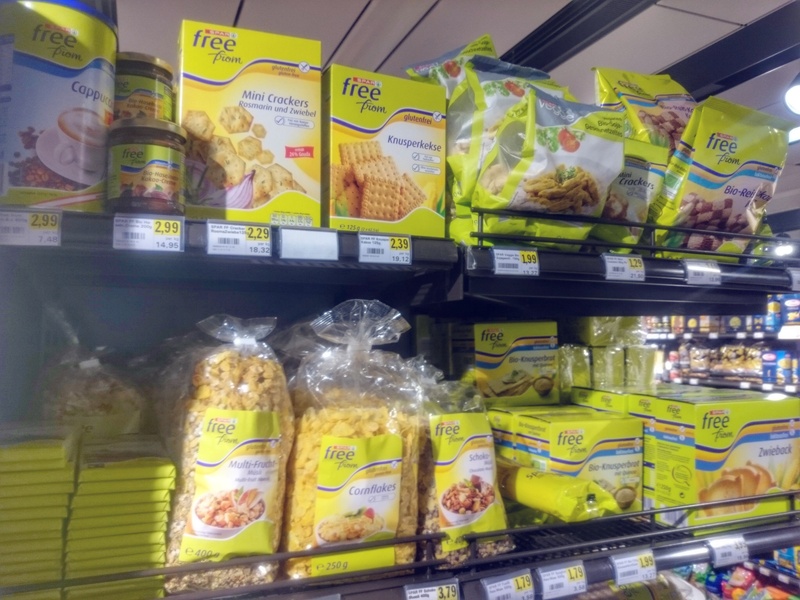 Lots of Schar goodies available in DM – a reliable spot for stocking up. We visited the DM on Kundmanngasse Street, South of Central Vienna.